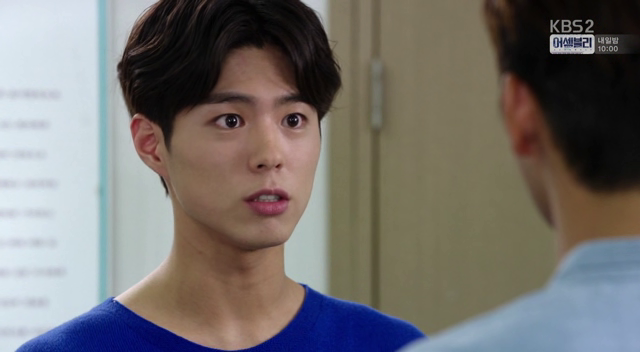 Woohoo more physical tension between Ji Ahn and Hyun, I can’t wait for them to be an official couple!! 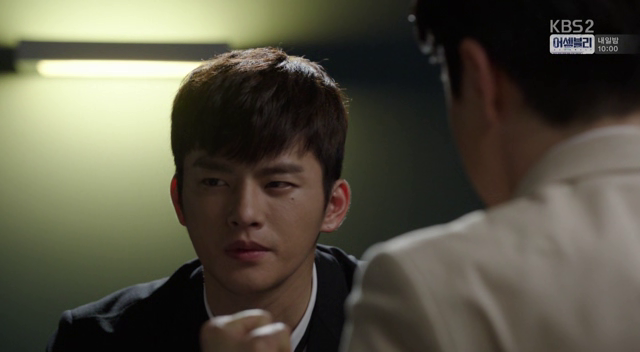 Other than fanservice, this episode sees a confirmation of one key character – Min is Attorney Jung. 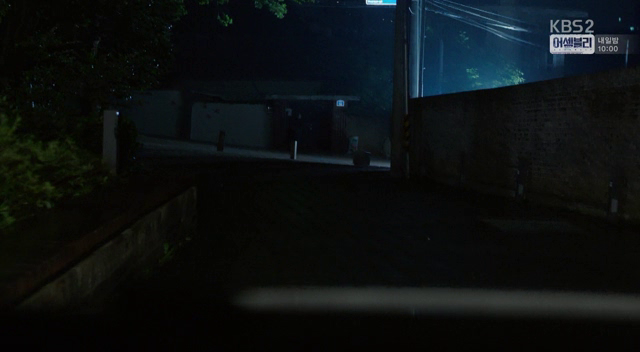 As seen from previous episode, Jung purposely leaves a few groceries in his car. 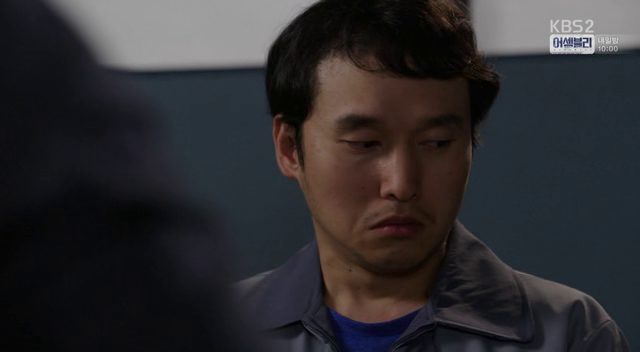 Ji Ahn gets pushed into her house by Burly Guy while Hyun ponders over the two cards he has received. 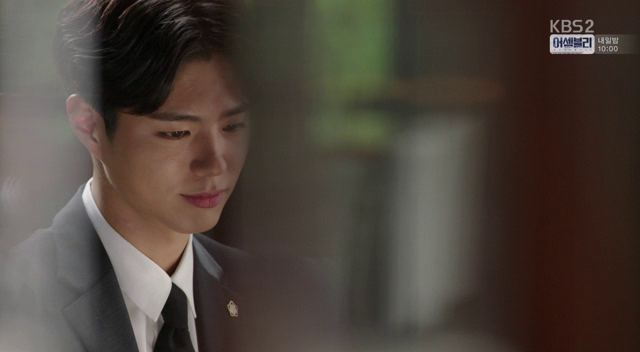 One was placed when Prosecutor Shin disappears. 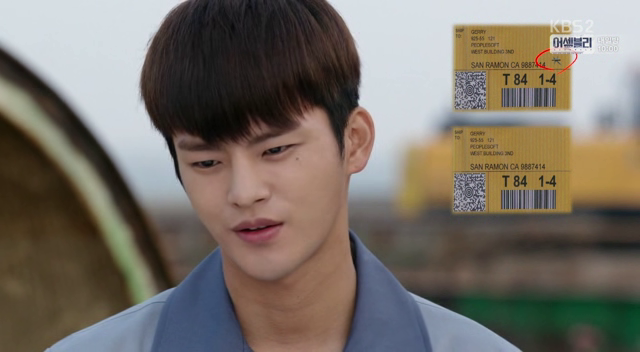 He looks at the other card and recalls the stalker at the amusement park. 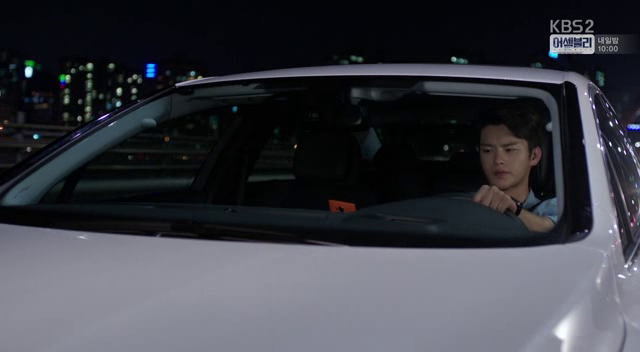 “No way…” I’m guessing that the car is hint to Ji Ahn’s surname. 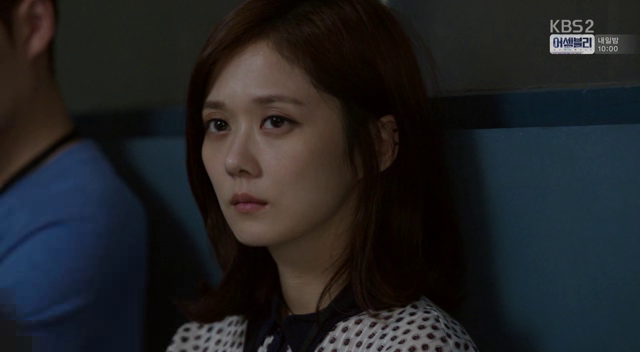 Ji Ahn fights well with lots of girl power. 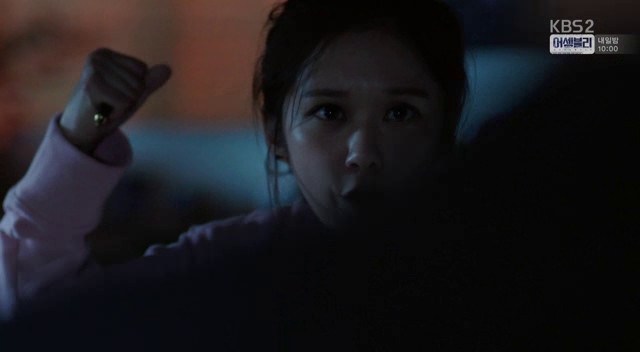 She’s not kidding when she says that she has learnt martial arts before, as she holds off the guy by defending herself and piercing the guy with a pen with any opportunity she has. 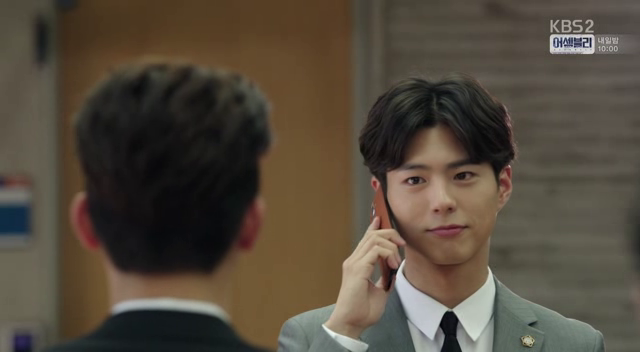 Hyun calls her phone but she can’t pick up, so Hyun calls Kang instead. Upon hearing that Kang isn’t with Ji Ahn, Hyun hangs up, leaving Kang worried. 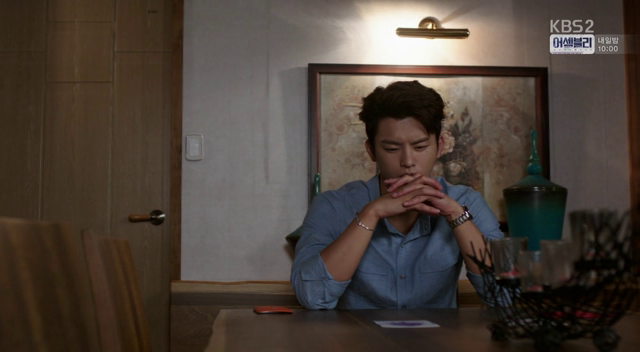 Jung ponders coldly as to whether he should let Ji Ahn live. 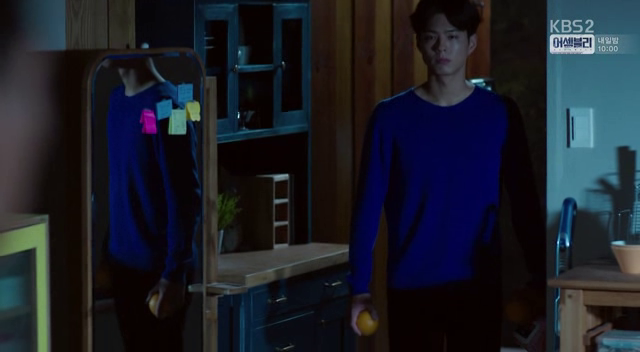 As Ji Ahn throws her blanket on the guy and kicks him, Jung appears in her doorway and starts launching oranges at the guy. Which is quite funny hahaha. 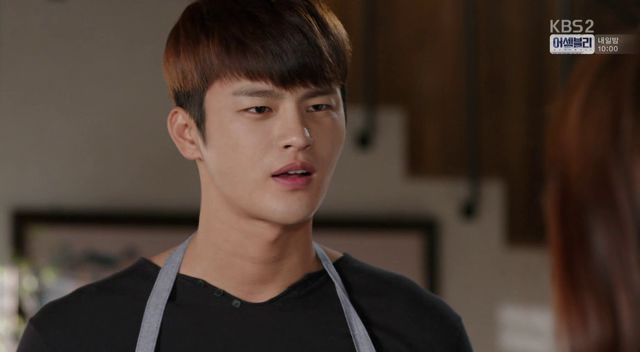 Hyun reaches the house and happens to see Burly guy. He gives chase but the guy runs off. 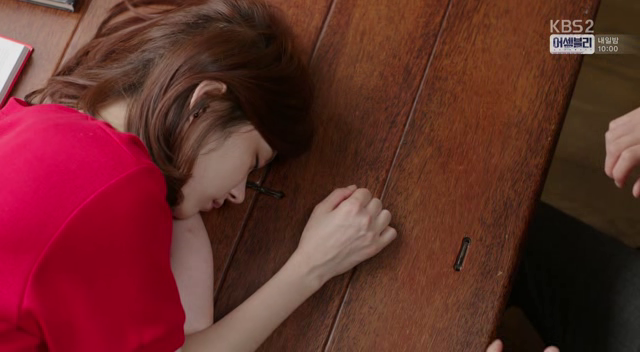 Jung asks with concern if she’s okay and helps her up. 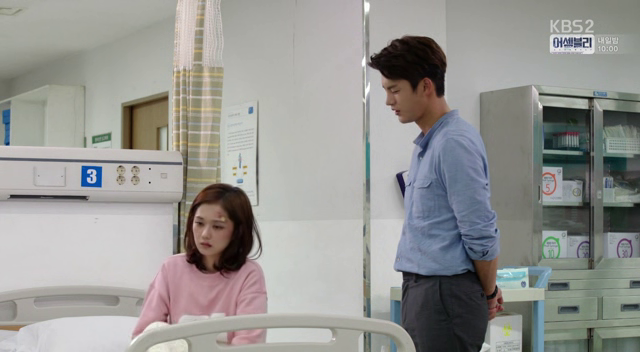 Ji Ahn explains that Jung saved her life, and semi-collapses as she walks towards Hyun. 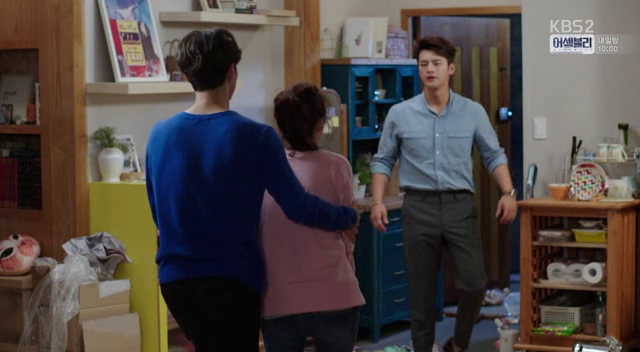 Hyun catches her in his arms, while Jung holds her arms. 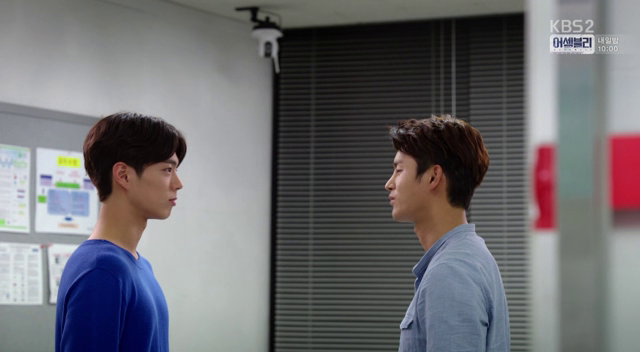 The two men scrutinise each other. Jung replies that there needs to be no reason. Just like how Hyun explains that there are just random flowers you get attracted to while hiking. 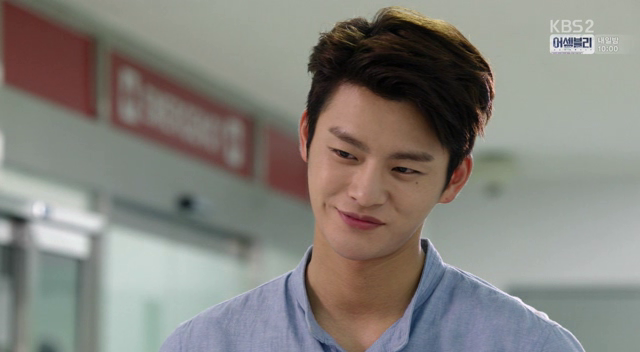 Hyun guesses correctly that this is Yang’s doing but Jung pretends that it’s the first time he’s hearing this. 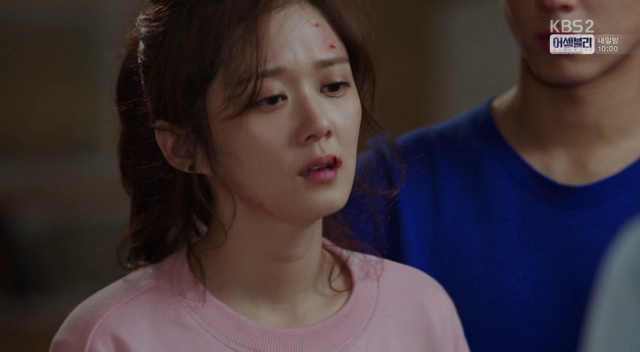 Hyun keeps staring at her and consoles her that it’s only natural to be shaken up after a beating like that. 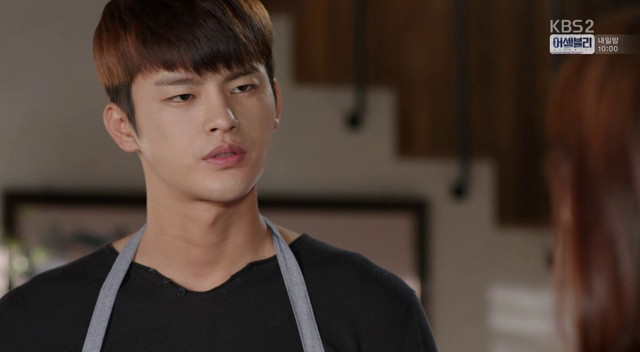 Ji Ahn asks, “Don’t you think it’s etiquette not to stare so much?” and Hyun turns away, amused. 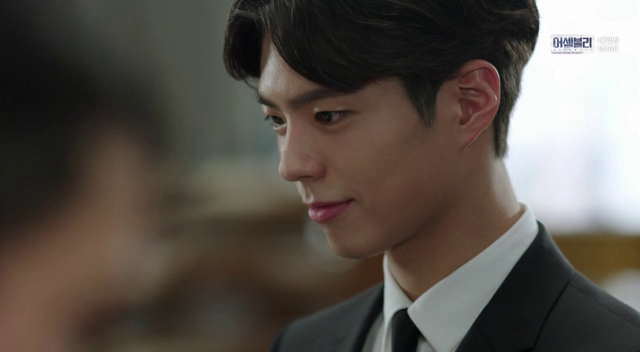 While we all hope/know that Hyun could be subconsciously jealous hohoho, Ji Ahn tells Hyun she understands his uneasy feelings towards Jung but Jung was sincerely worried about her. 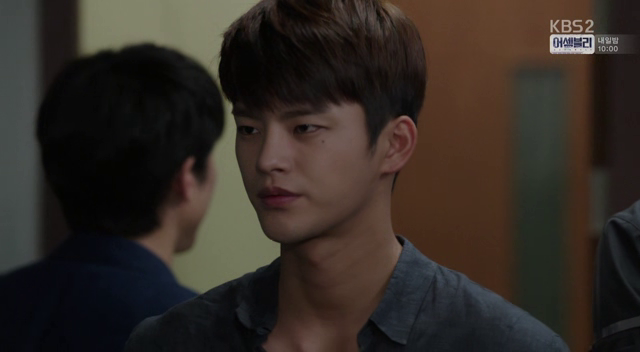 Hahaha, Hyun doesn’t like this topic and asks her if she’s staying longer. 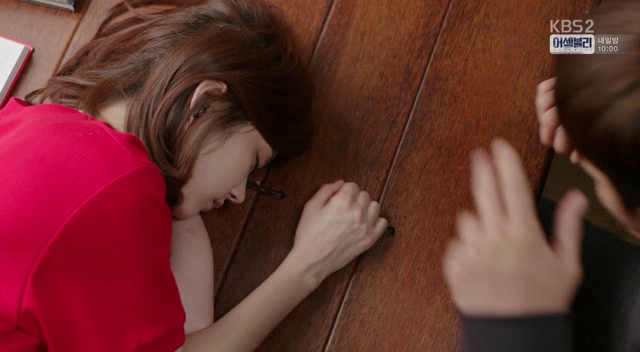 Ji Ahn doesn’t want to be a fake patient since she is all fine now and tries to get up but her back hurts. 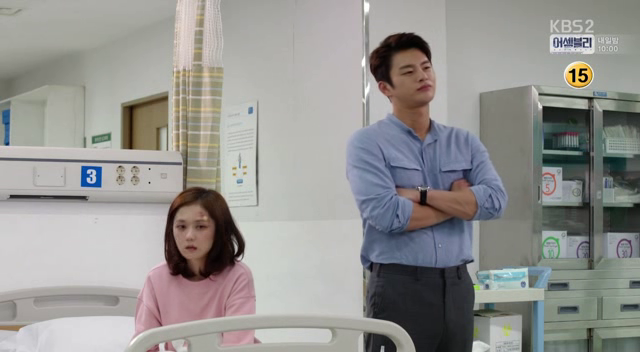 Hahaha the couple amuses me. 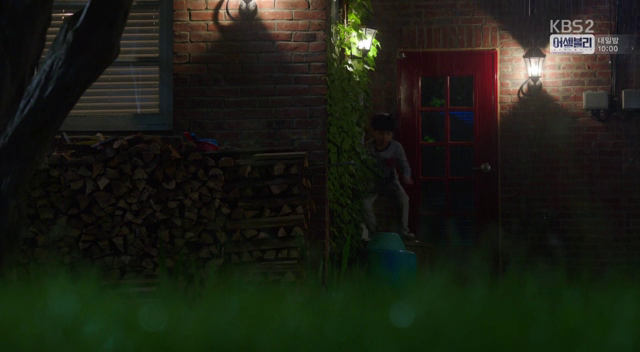 Ji Ahn returns home, only to find her door all taped up with police tape. 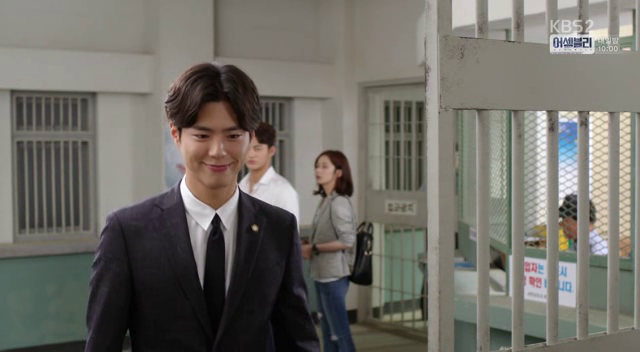 After being prompted by Hyun, she remembers that she was the one who had taped up her entire door, much to Hyun’s and Jung’s amusement. She packs her stuff but realises that she can’t stay with her aunt because she doesn’t want the Burly Guy to find her at her aunt’s place. 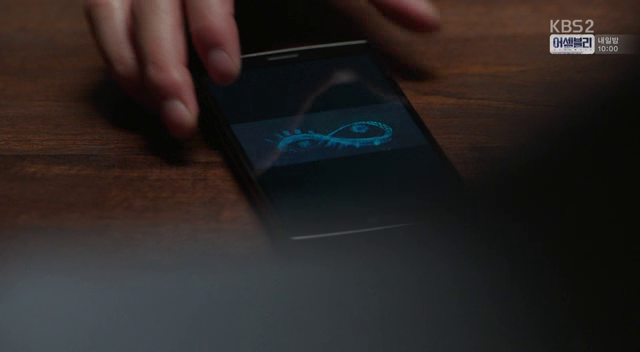 She doesn’t want to call for protective custody and she will only call in the forensics team the next day. For now, she will sleep at the police station. 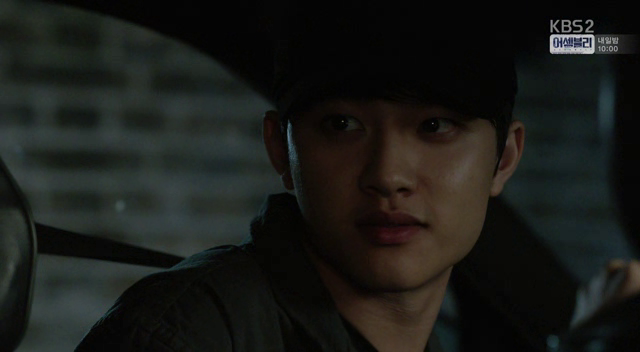 He drives her to the station, but tells her to put her seatbelt on again. When she looks at him, stunned, he simply leans over and helps her buckle the belt. WOOHOO. 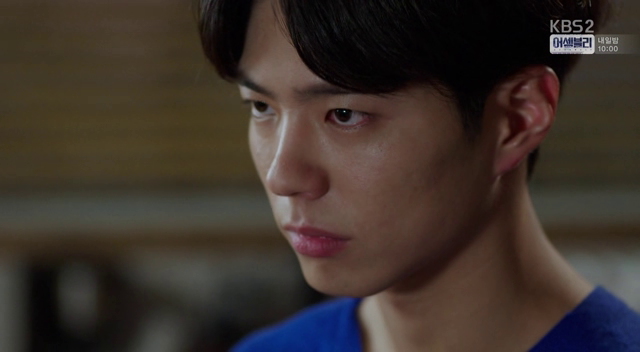 He mutters, “It’s annoying.” He tells Ji Ahn that he will let her be in his debt. 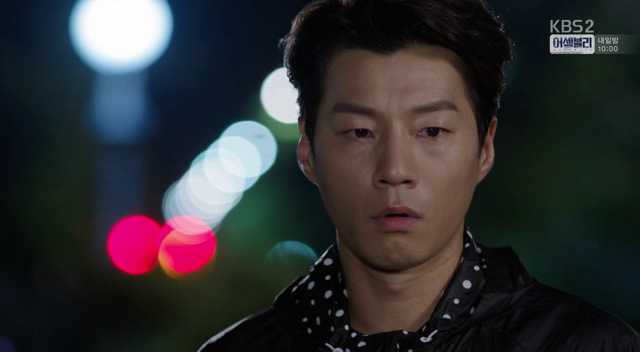 When Ji Ahn realises that he’s letting her stay in his house, she protests that he’s actually repaying his debt because she hid him when he was a murder suspect. 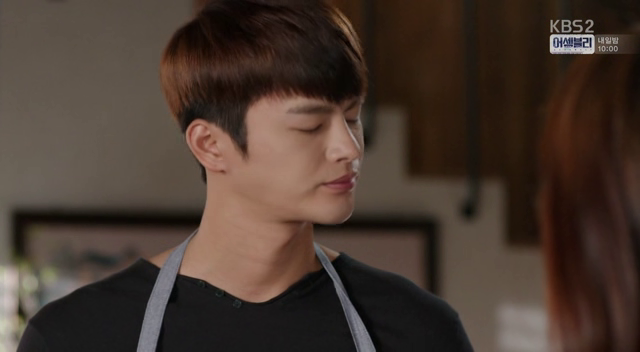 Hyun threatens to send her back to the headquarters and she shuts up haha. 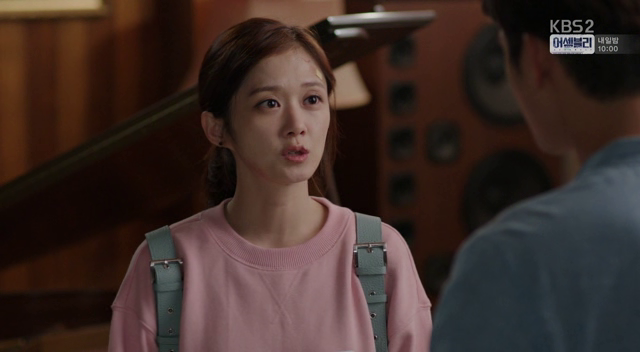 Hyun cautions her to not take anything out of the assigned space and she answers obediently. 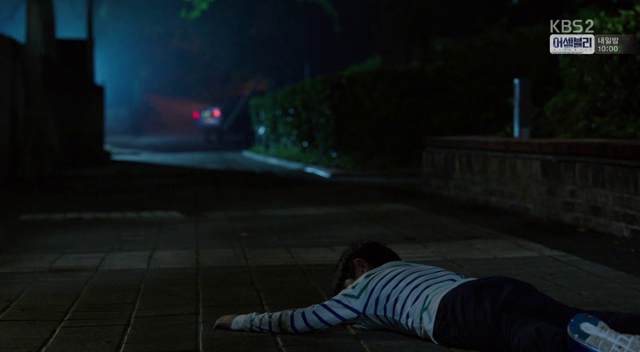 At night, Ji Ahn gets woken up by noises. 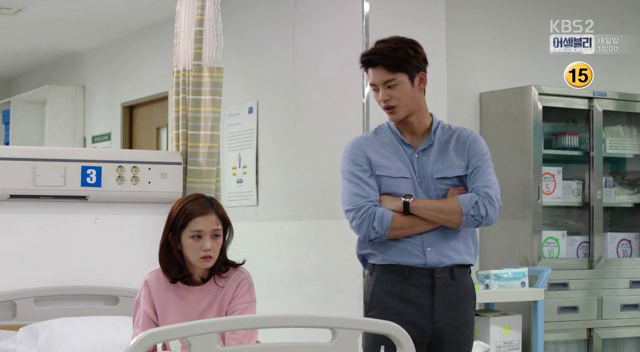 She realises the sounds are actually coming from Hyun, who is having a nightmare. 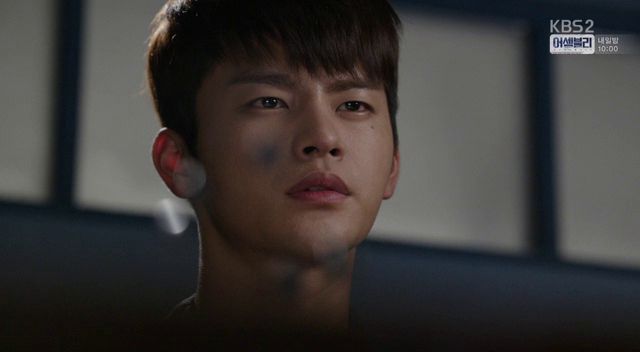 In his nightmare, he keeps chasing after Min, who is trapped in a moving car. She tries to wake him up, but to no avail. So she sits on his desk and touches his hand gently. 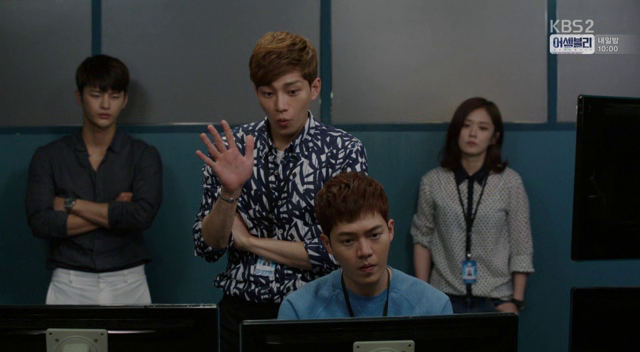 Hyun holds her hand tightly and doesn’t let go. 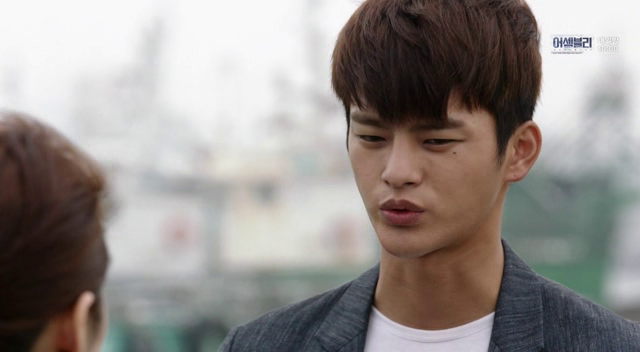 Awww, seeing him all huddled up like this makes me feel sad for him. 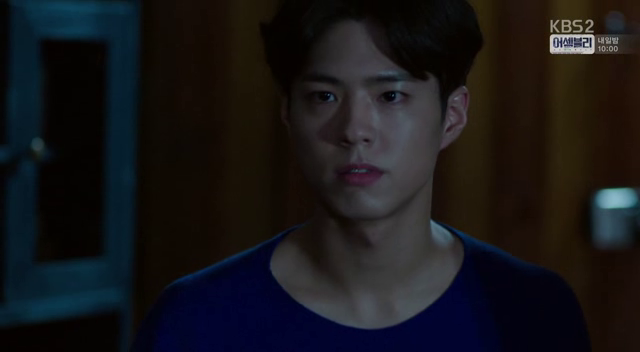 Ji Ahn gets a call from Kang, who is concerned about her since he couldn’t get through to Ji Ahn and Hyun the previous night, and her house has turned into a crime scene. She gets chided in the station for not having reported her assault straight away. 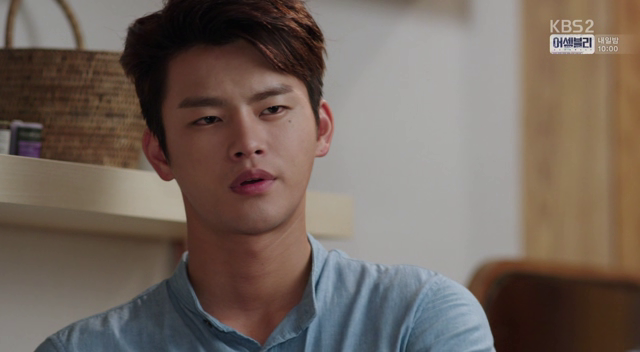 Kang offers his house for her to stay, but adds in that he lives with his father, the Deputy Chief. 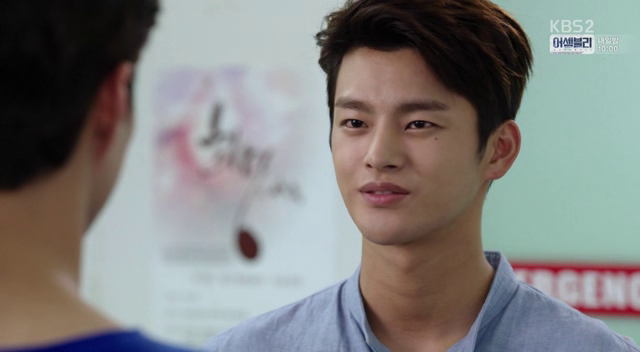 Myung Woo laughs that they all cannot stand being in the same room as the chief but quickly shuts up when he turns up. 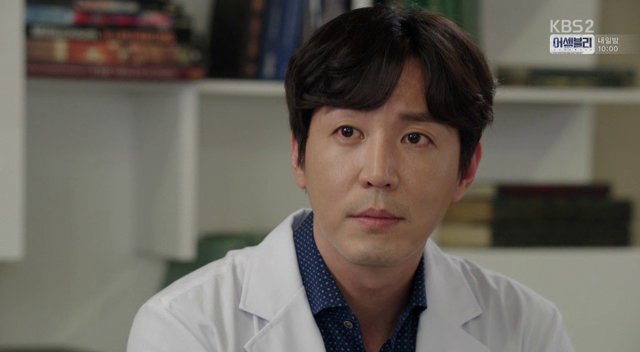 Ji Ahn calls to meet Jung and asks him if the Burly Guy was sent by Director Yang. 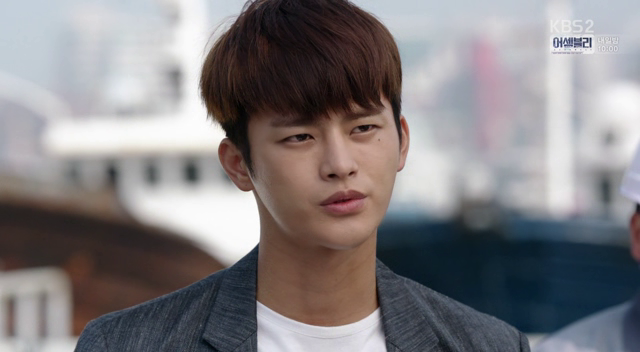 Jung feigns ignorance. 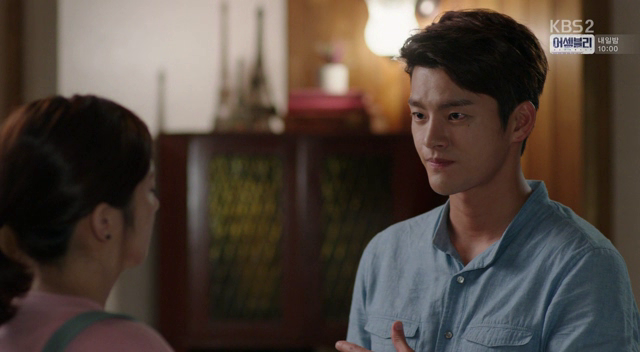 Since she’s such a direct person, she comes out right and asks Jung if he has an interest in her. 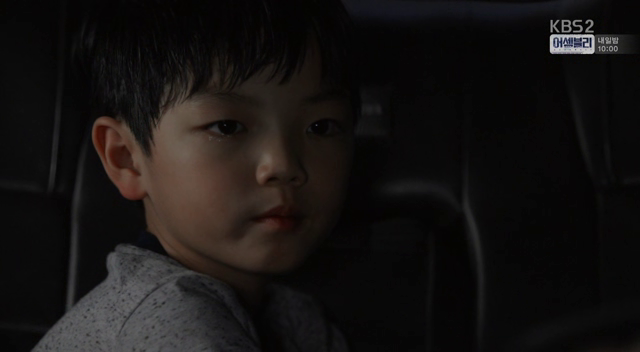 Through flashbacks, we see Min replying that he liked Hyung the most and that he wanted to be like Hyung when he grows up, but Dad took Hyung away. 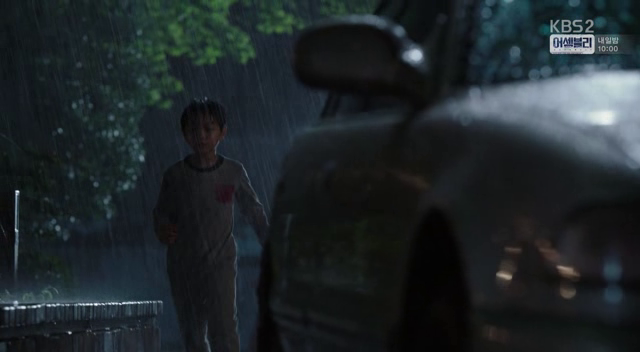 On the night when Joon Young came to kill his dad, he climbed out of his window and hid in a car because it was raining. 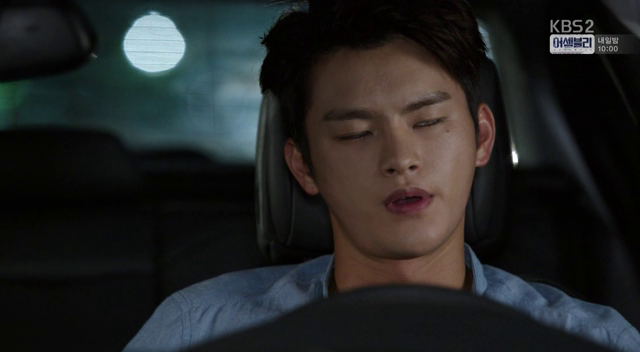 He fell asleep in the car and only woke up when Joon Young started the engine. 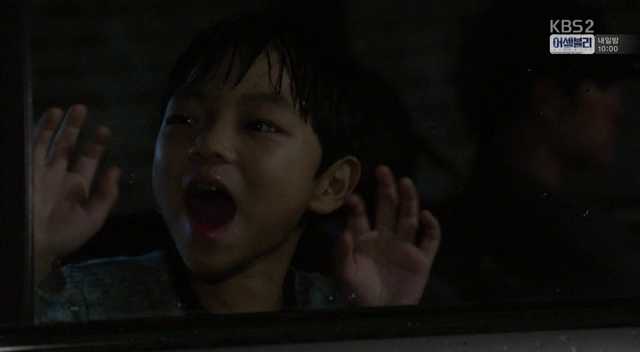 He tried to escape but Joon Young locked the car and drove off. 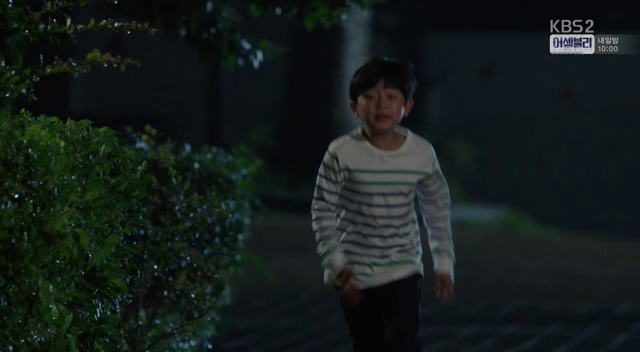 Hyun ran after his brother and Min shouted from inside the car, but Hyun disappeared after the car turned a bend. 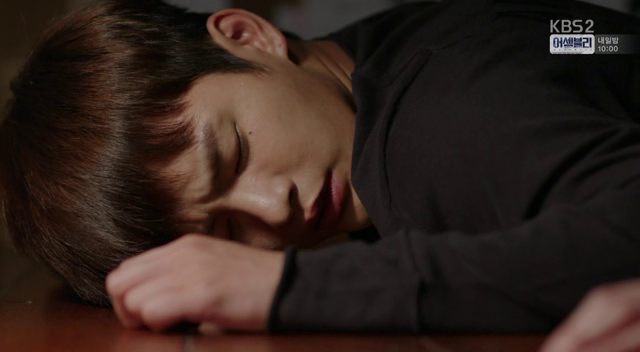 Turns out that he tripped and fell unconscious. 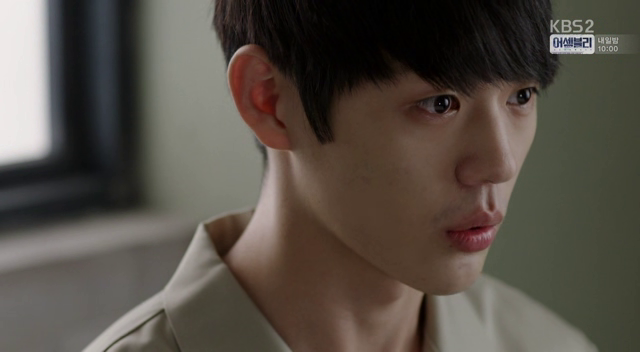 Min kept crying in the car for his Hyung but ultimately quietened down and asked Joon Young what Hyung said about him. 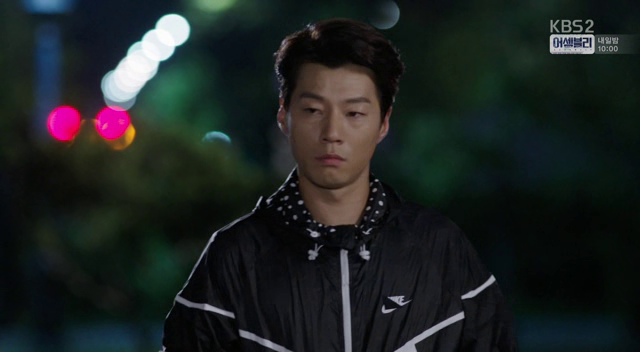 Hyung left me. 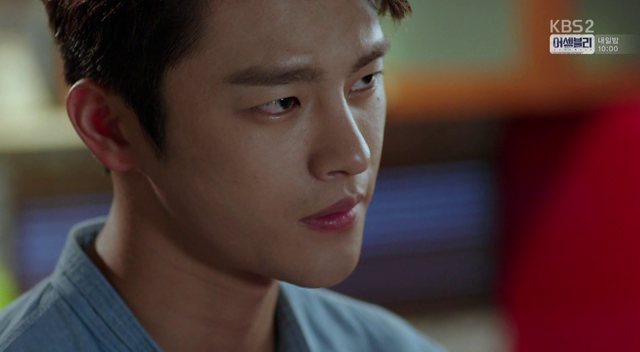 He handed me to Lee Joon Young. 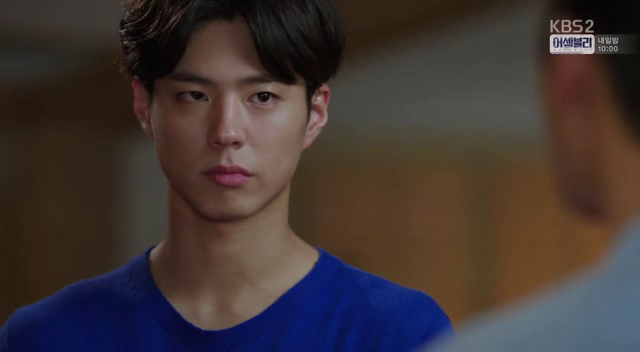 Soooo Jung is confirmed to be Min! 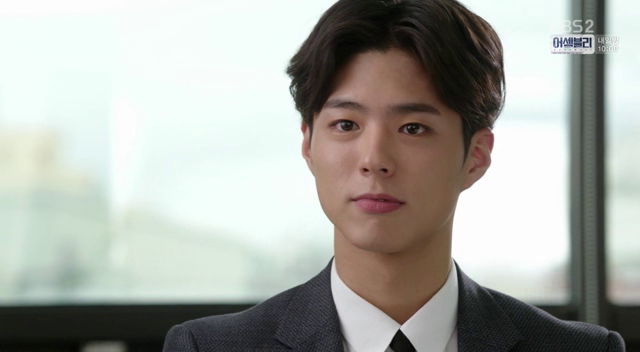 Can I call him Min from now on? 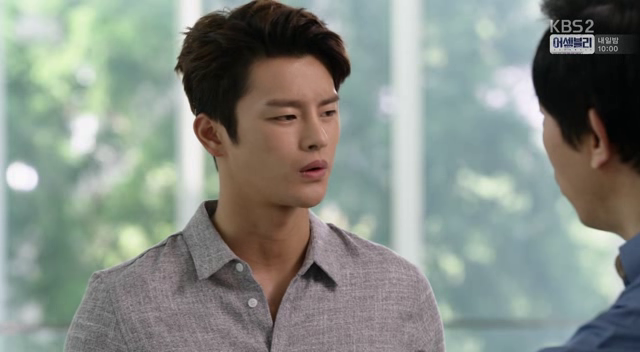 Hyun has his suspicions of Joon Ho. 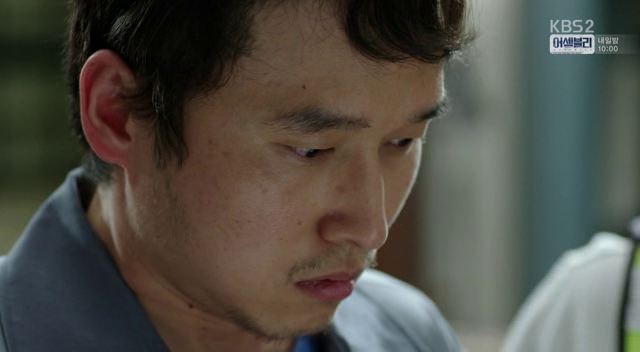 Given that Prosecutor Shin had told him before about how Joon Young was famous for his corpe-less murders, he asked Joon Ho how he would conduct a murder without leaving behind a corpse. 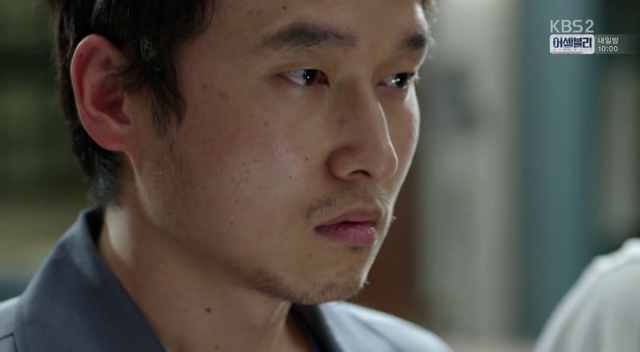 Joon Ho replies that ultimately, the key is to throw the body somewhere it cannot be found. 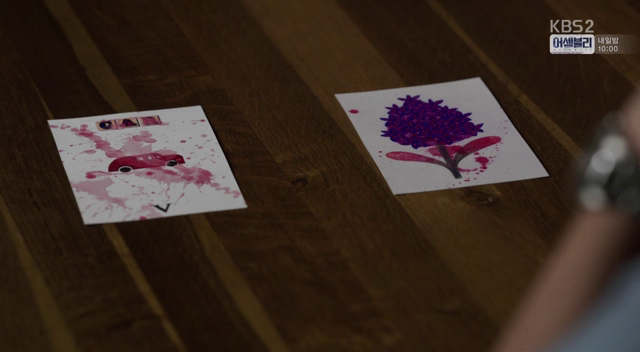 If it’s a serial murderer, then the murderer will dispose of the body in his own way, which becomes his modus operandi. 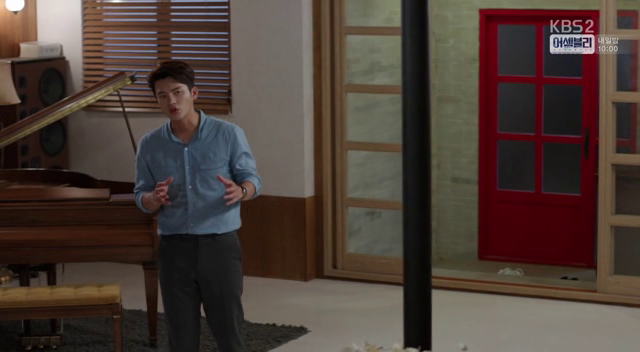 Hyun gets a call from his art director friend, who tells him that a friend of his knew somebody who knew somebody that drew a sketch and asked if he knew the painting. 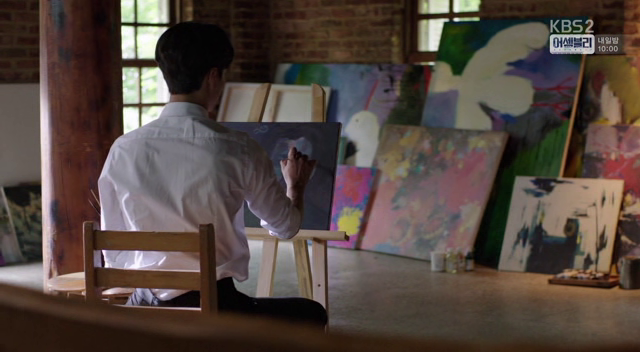 But that sketch is very similar to the painting that Hyun gave the art director. 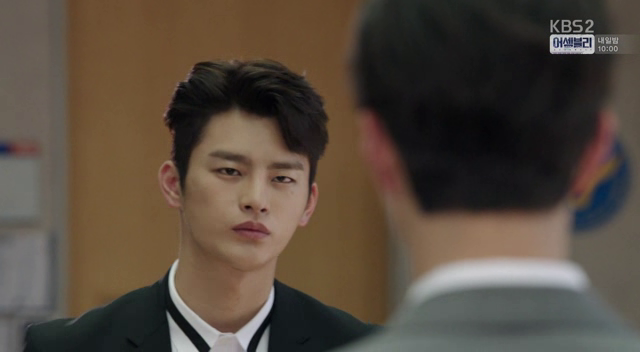 That person is an employee at the Fake in Incheon. 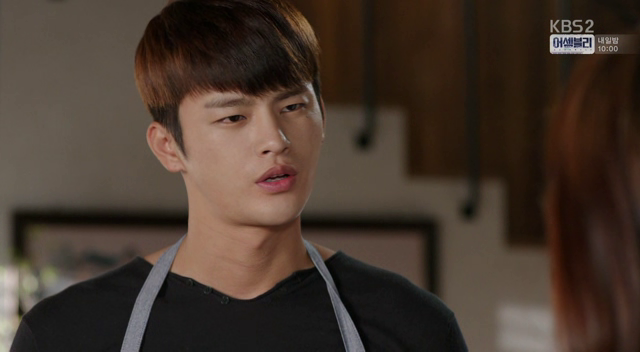 Hyun is frustrated at his long story but compliments him for the good job done. 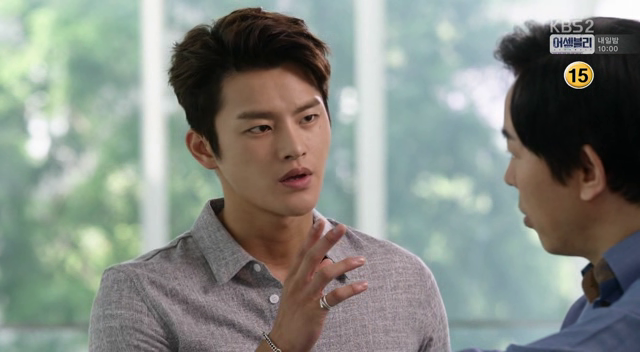 The employer at The Fake is very taken aback that someone with Hyun’s credentials will want to be work for them. He even agrees to getting low pay. 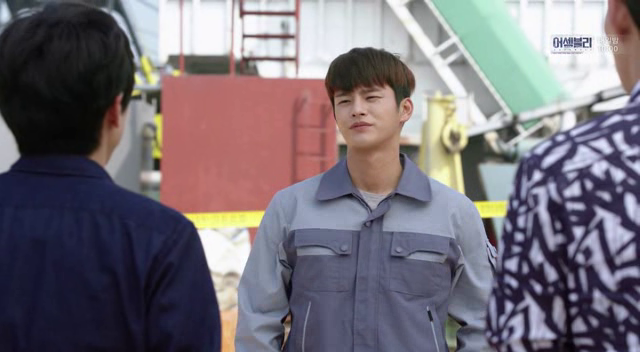 Turns out that The Fake is a shipping company but Hyun doesn’t even know how to use a fork lift, much to his new supervisor’s chagrin. 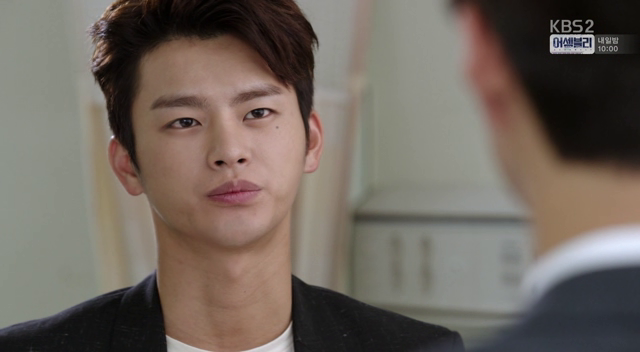 He asks his supervisor many questions, which annoy the supervisor very much. 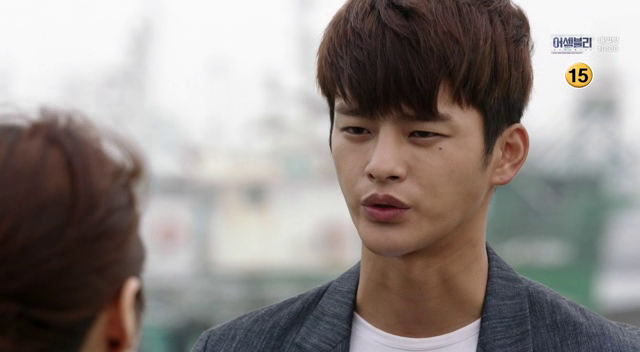 When Kang calls to ask for his whereabouts, he answers that he’s doing a part time job. Haha. As the Burly Guy wore gloves, and the car was parked in a blind spot,the team is unable to find any clues as to who the assailant was. 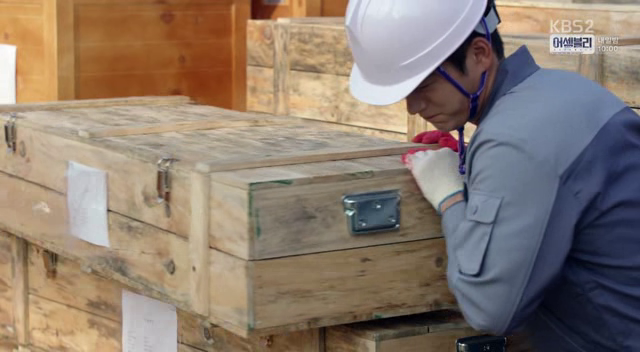 While moving a container, Hyun notices that there’s some blood stains on a crate and smells it. He quietly and quickly moves the crate above away and topples the crate below it, causing the crate to fall and break open. 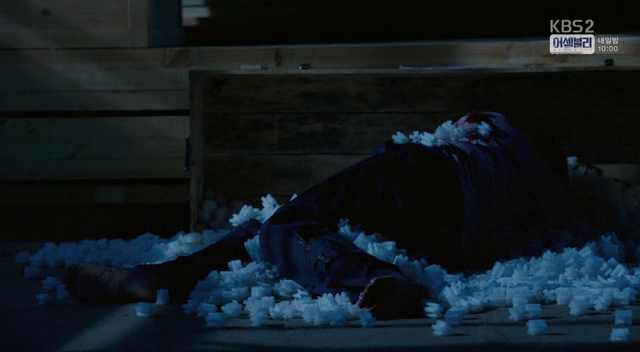 As the bloodied crate is below, he probably removes the crate above to pretend that he accidentally knocked over the bloodied crate. 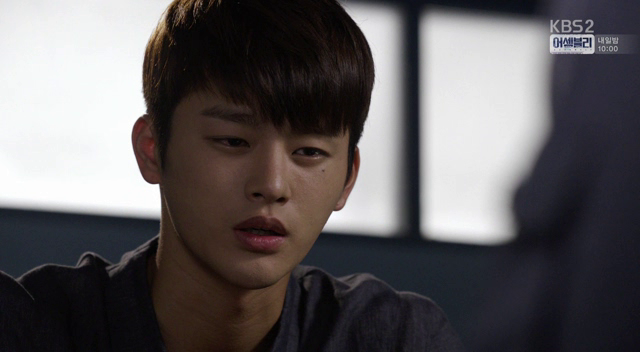 His supervisor comes running but wails when he sees the dead body. The team gets mobilised because the request is sent in directly, and they think it’s because of their power and reputation. Lol. 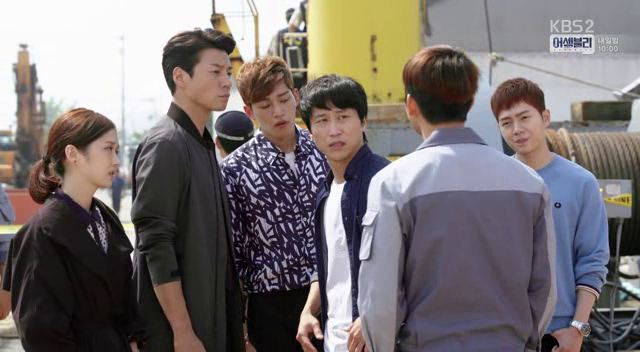 At the scene, the supervisor brings them to the new employee and complains about him. 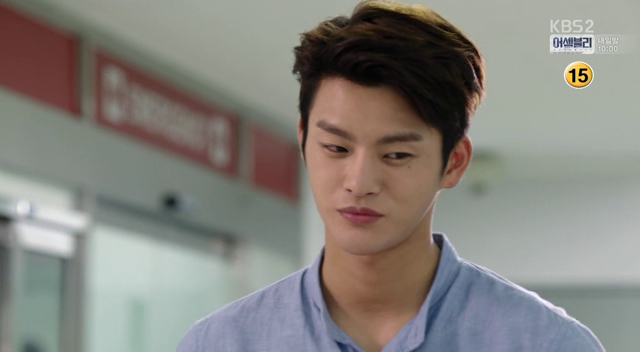 Myung Woo notes that this person is very similar to a rude jerk he knows. 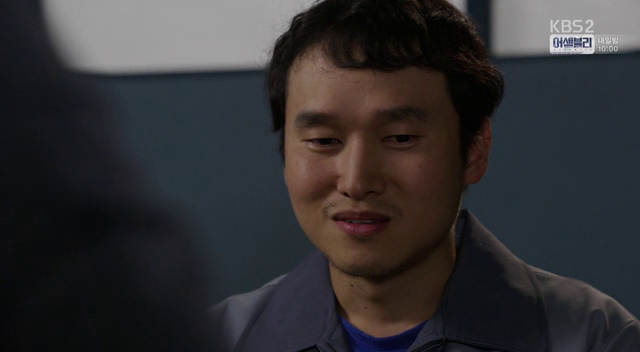 Kang asks what he means, but the duo merely exchange a glance (probably because of their previous conversation on the modus operandi). 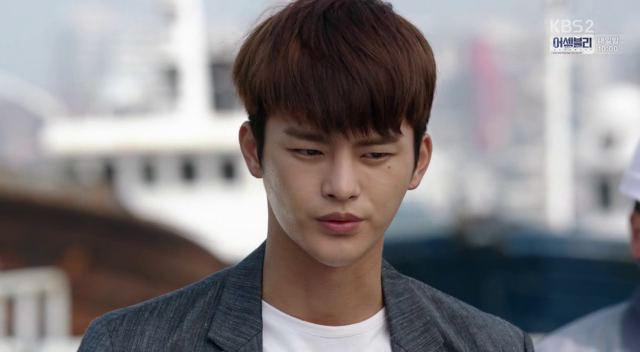 Later, Hyun stands alone at the port and recalls what he has found – a mark on the label on the crate that no other labels have. 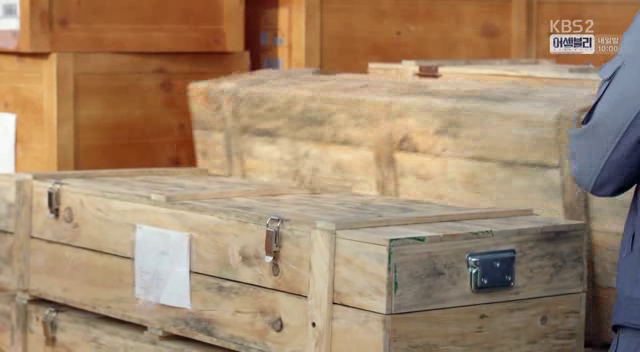 If this gets transported onto the ship, then someone on the ship will throw this labelled crate into the sea. This way, there will be no corpse. 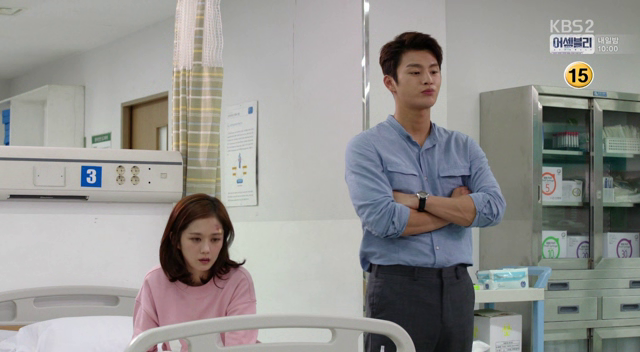 Ji Ahn reminds him that they are partners, “When will you tell me honestly?” Hyun replies with another question – what will she do when she catches Joon Young? 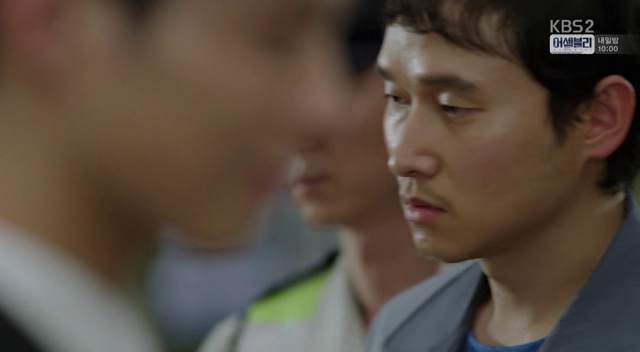 Ji Ahn reveals that Park Dae Young had also asked her that question when she visited him in the prison. 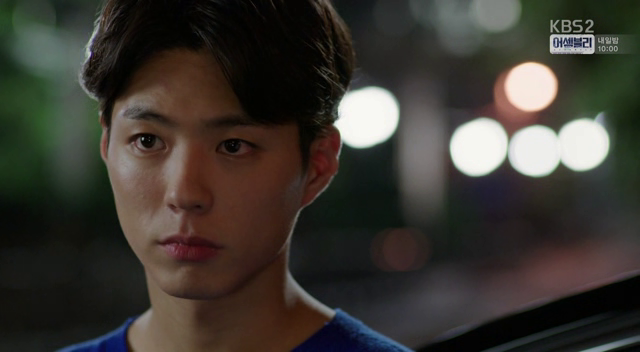 “Until you see him in front of your eyes, until that moment comes to you, you don’t what choice you will make yourself.” Hyun tells Ji Ahn that when she shares his evidence with him, he will do the same. 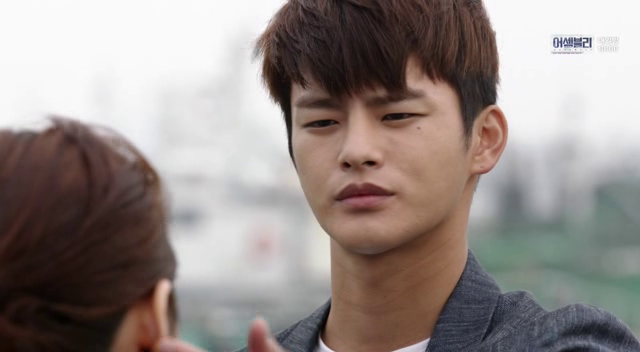 He steps in and tucks a stray piece of hair behind her ear. !!! 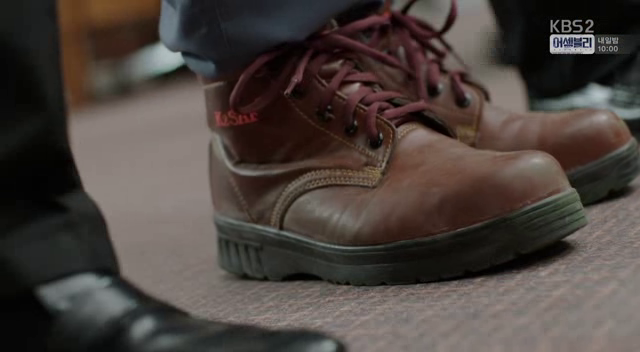 Now it’s down to business – the team has already split up to find the crime scene. 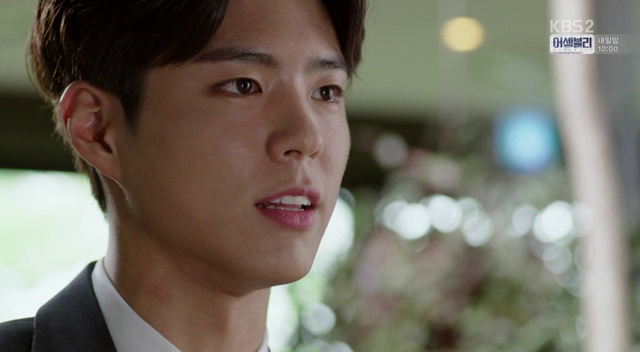 In the meantime, Hyun asks the other workers if there was any particular worker whose good relationship with the victim suddenly soured and always earned a lot of money. 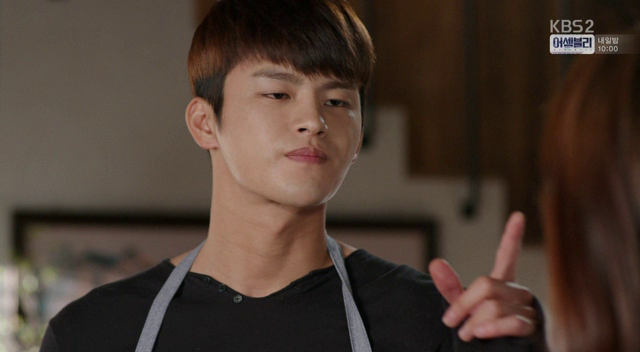 Because of his prompts, the workers immediately narrow down to one worker that fits the description. 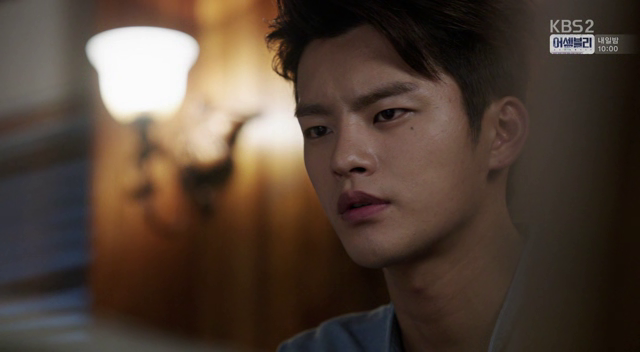 Seung Jo finds the crime scene. 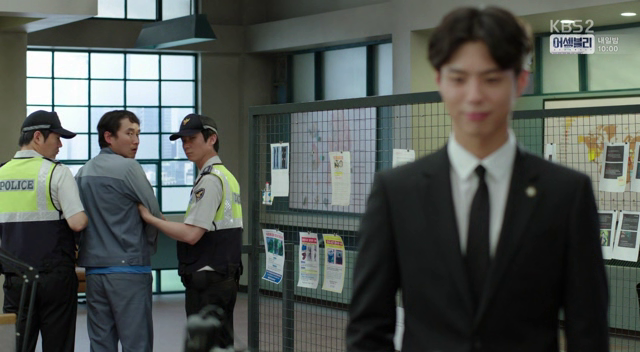 Myung Woo runs into a random worker who starts running when he asks for his name, so Myung Woo chases him and arrests him. 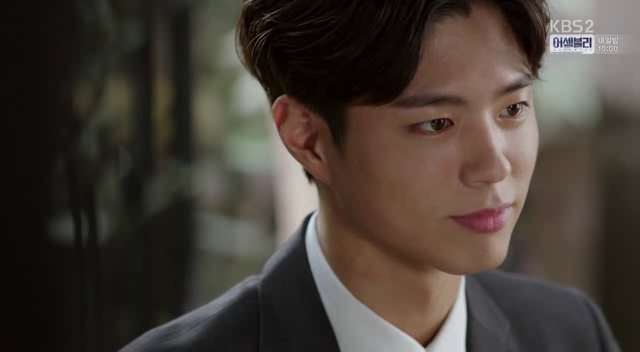 The team is confident that the guy will confess soon, since they have loads of evidence and the guy knows he’s pretty screwed. 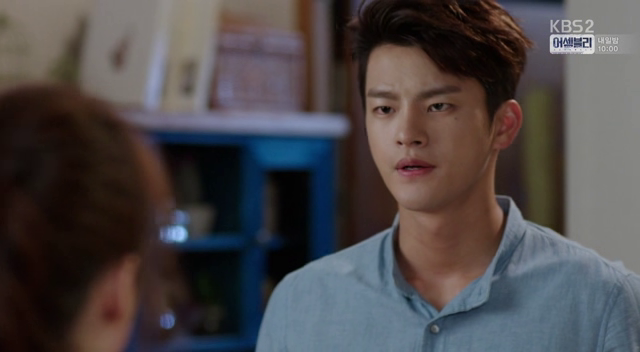 Seung Jo counts down from 5, and right on count 3, the guy confesses, “I killed her.” The interrogation is over pretty quickly and the team is happy for this easy, well-done job. 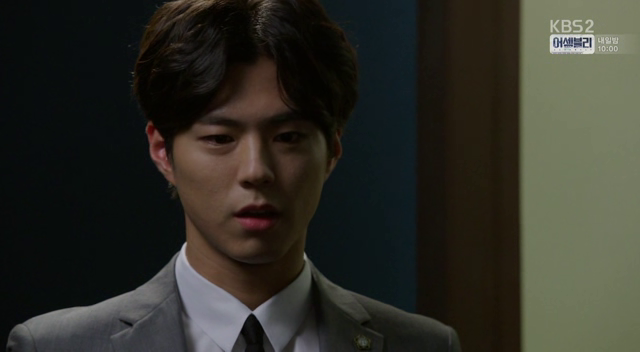 Just as Kang and Myung Woo leave the interrogation room, Hyun enters and locks the door behind him. 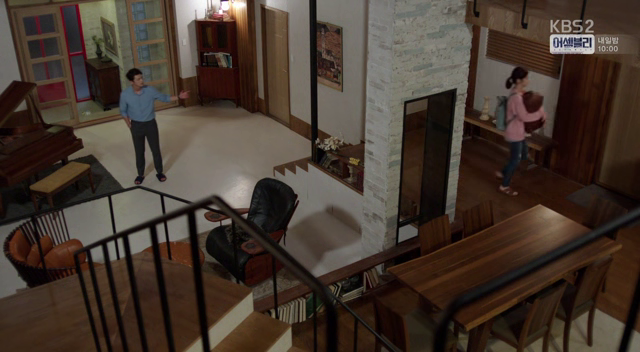 He turns off the surveillance such that people in the other room cannot hear him as well. 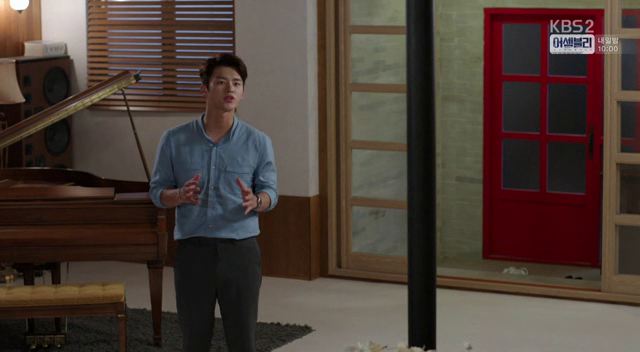 Hyun shows the culprit a photo of the double-eyed symbol and notices that the culprit knows something about it. He promises that whatever he says will not be recorded and that he will help him get a better life in prison. 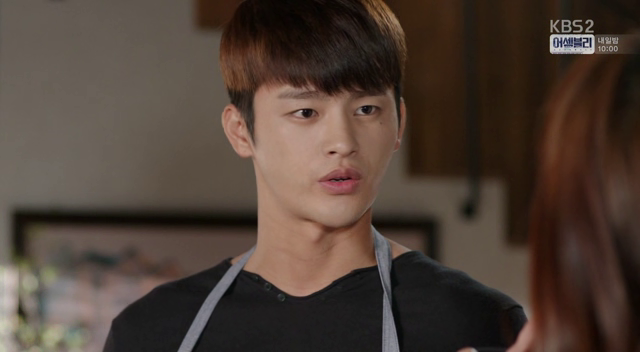 The culprit confesses that he doesn’t know who is behind this. It’s just that one day a call comes, and all he has to do is to move a box onto the ship, and that someone on the ship will throw it out. The boxes come once in a while, but every time, he gets a lot of money when he delivers a box. “But one day I saw what was in the box.” Is the guy smiling right now? 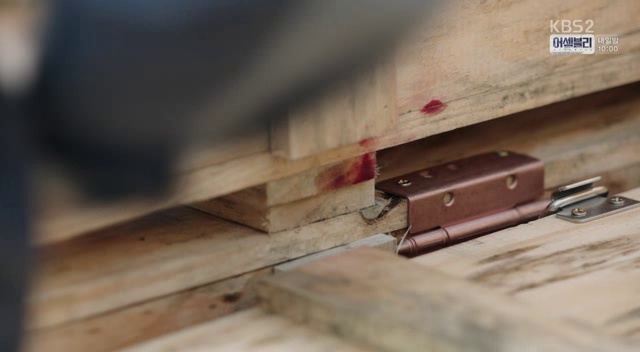 “At first I was shocked, but after that, sometimes I open the box to take a look. 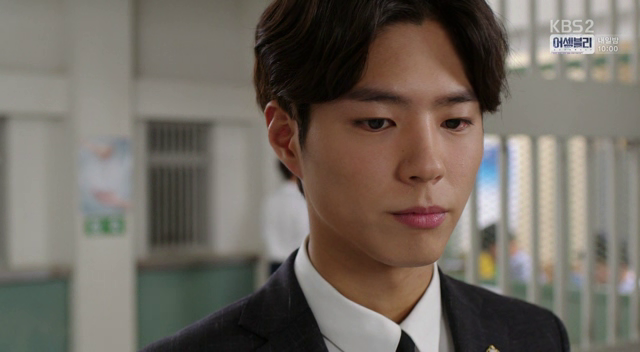 I was curious to see if there were things painted on.” Hyun shows him a photo of Prosecutor Shin and asks if that was the latest body, and the culprit nods. Oh poor guy is dead. He was quite a fascinating character! 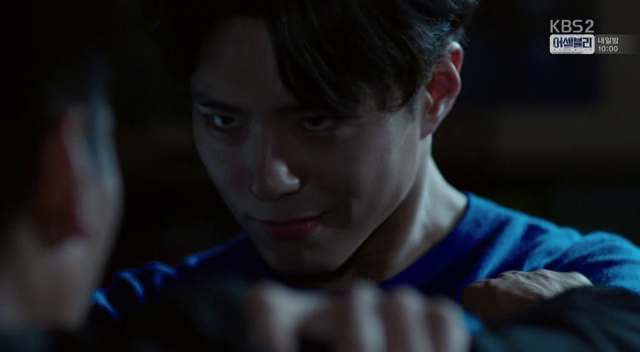 I thought the culprit was just acting very badly because I couldn’t tell if he was smiling or grimacing, but I’ve decided that he’s smiling. 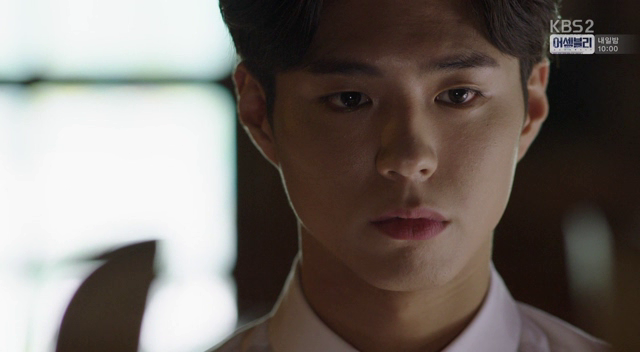 He only knows the voice of the person who gave him orders. 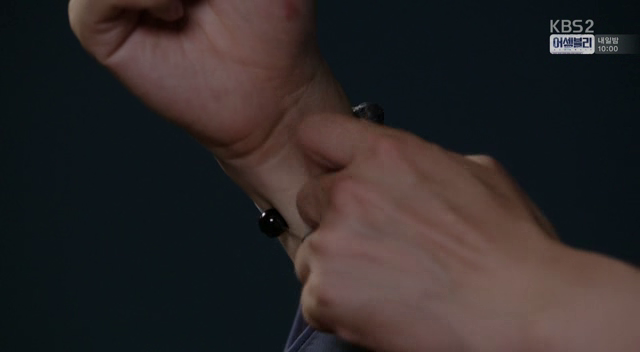 When Hyun asks how many crates had been delivered onto the ship, the guy tears off the bracelet on his wrist, “One bead per person. As a souvenir.” OH GROSS. Souvenir?? It’s not even a sign of repentance. 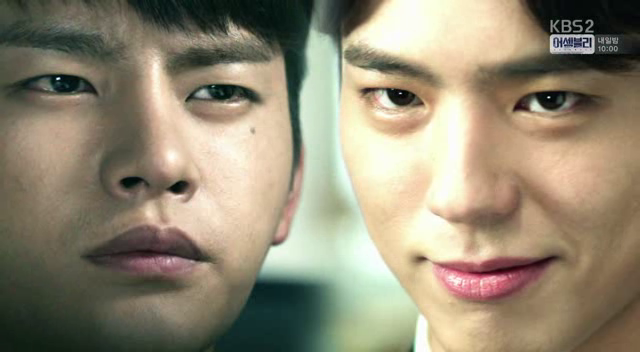 The camera switches to Jung/Min painting his usual two-headed men portrait with the symbol. He said earnestly, “No, it’s like a game to me.” Remember Me. 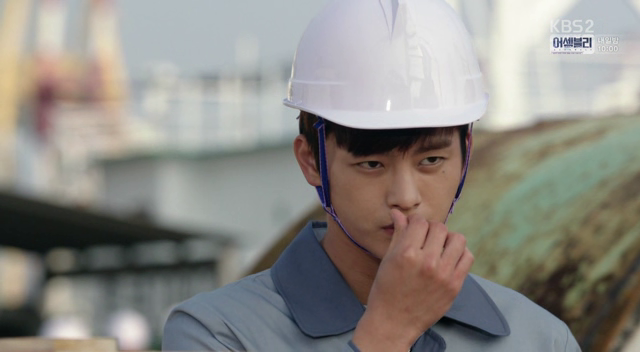 Min slowly puts down his brush. 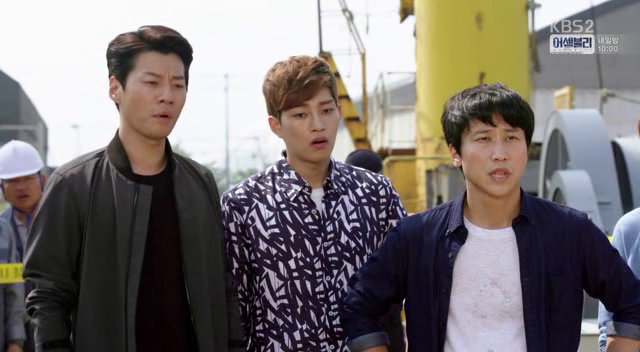 The detectives are damn pissed and demand to know what Hyun asked the culprit. 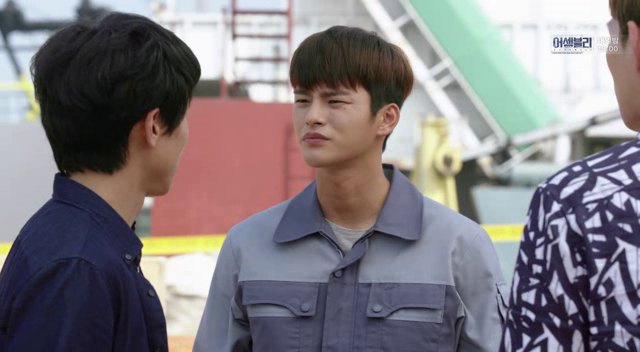 Hyun replies that he didn’t know the recorders were off and that he merely asked if the guy had anything to add to his original statement. 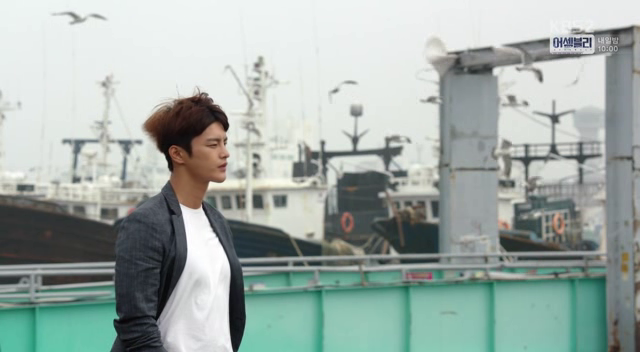 As he walks off, he exchanges a glance with Ji Ahn. 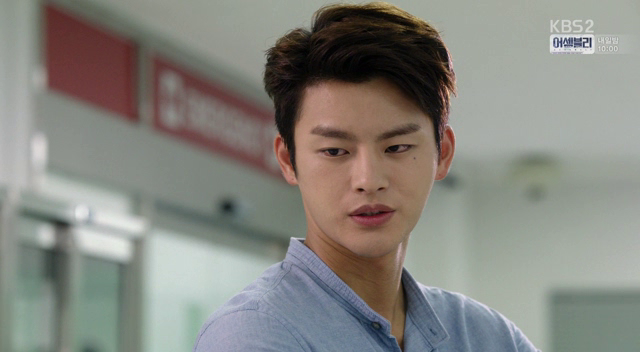 Jung comes to the headquarters because his client is with the team right next to the Special Team and the guy happens to be brought past him. 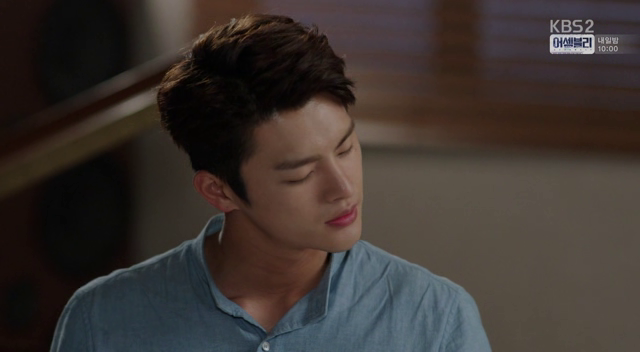 Cues music with tension, as the guy stops after hearing Jung’s voice. Remember? He only knows the voice of the person who gives him orders. 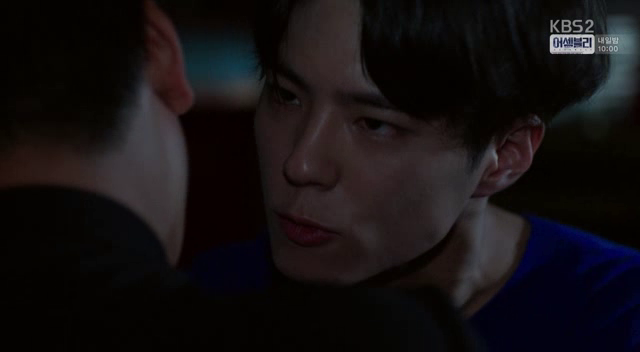 He definitely recognises it as he turns around but hastily turns back in fear as Jung turns his head. 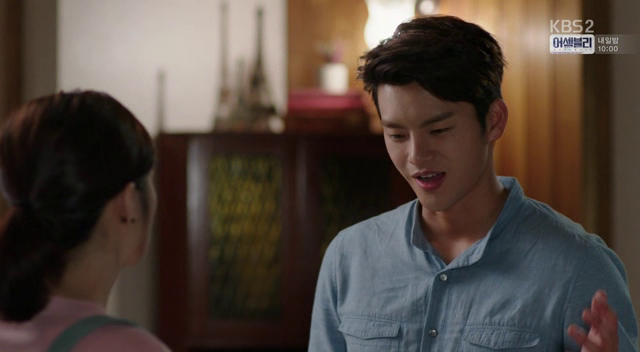 Hyun collects the beads and lets it falls. The sheer number of people killed. 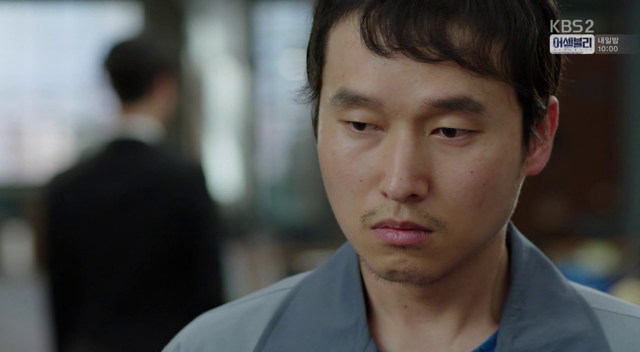 Oh man, I was really hoping for a nice reunion between Min and Hyun, but I guess that foreshadowing of a evil Min was there from the start. 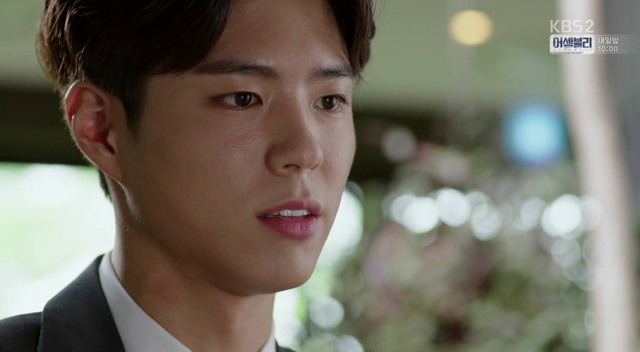 I like the dramatic falling of the beads, which I interpret as Hyun’s dismay that his brother could have possibly killed all these people. 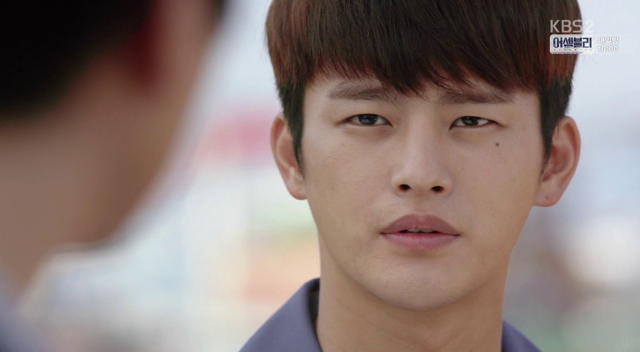 Even though he starts out hunting for Lee Joon Young, his hunt has led him towards Min. 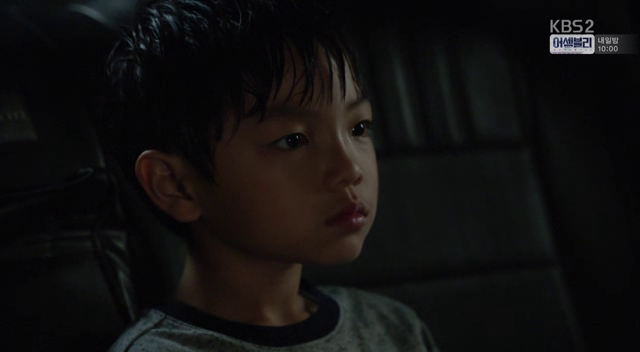 I wonder if that’s because Min has sort of grown up to be the next Joon Young? 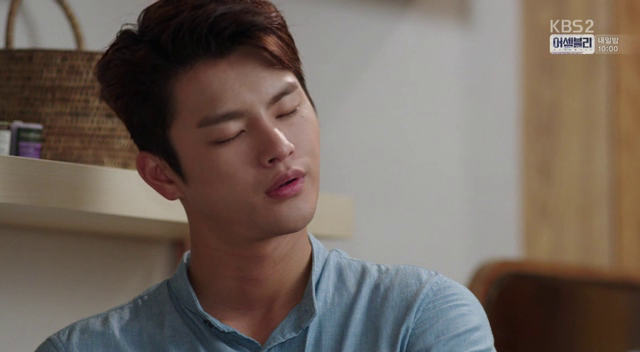 For example, Joon Young never left a corpse behind for his murders. If Min really killed all those people, then he has adopted the same idea and possibly the same modus operandi. 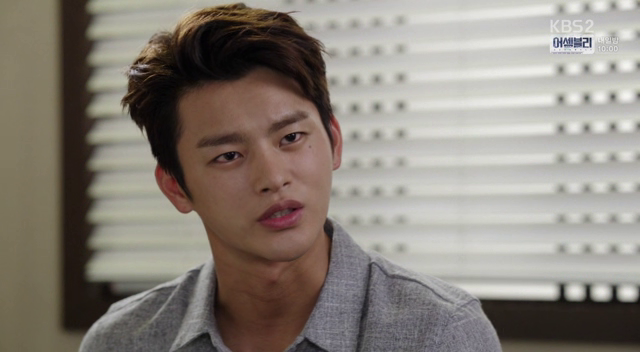 He’s the one that is more similar to Joon Young, not Hyun. 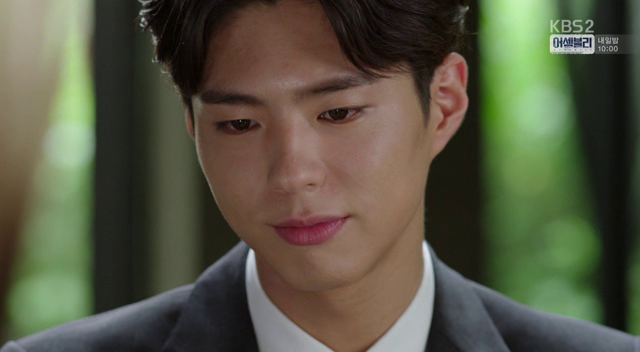 But I do feel sympathy for him because his ‘first love’ was his Hyung, whom he believed had left him behind for Joon Young. That must be awful as a kid to believe. I also do appreciate that the culprit at the end is a little perverted as well because that explains logically how he could have seen the symbol and yet continue to do the dirty work. The beads are also a nice touch in my opinion. 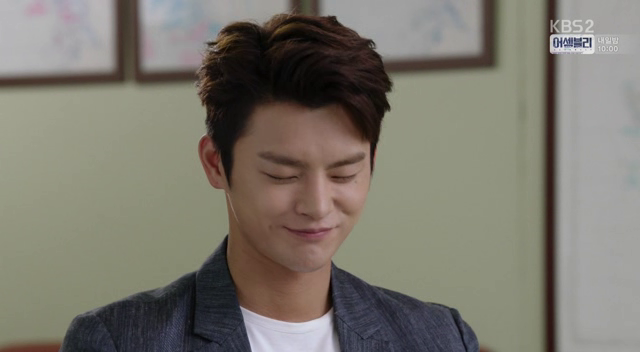 As for the couple, I’m glad the previous episode was sort of a turning point for them. 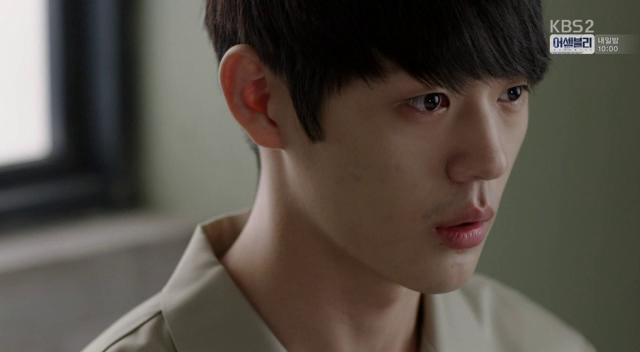 I guess Hyun really opens up to Ji Ahn because she believes in him, that he’s not a monster and that he’s not that bad. That’s great because I WANT TO SEE MORE COUPLE INTERACTION. 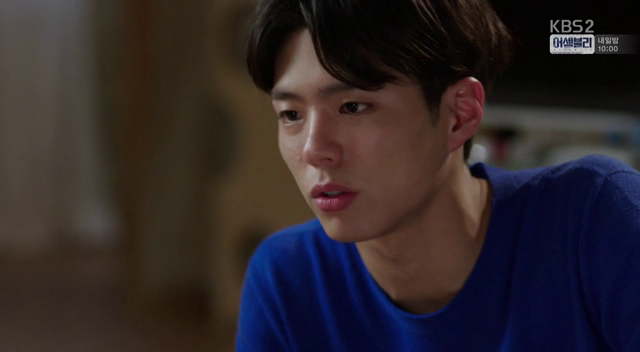 How can Ji Ahn not swoon as he tucks that lock of hair behind her ear?? 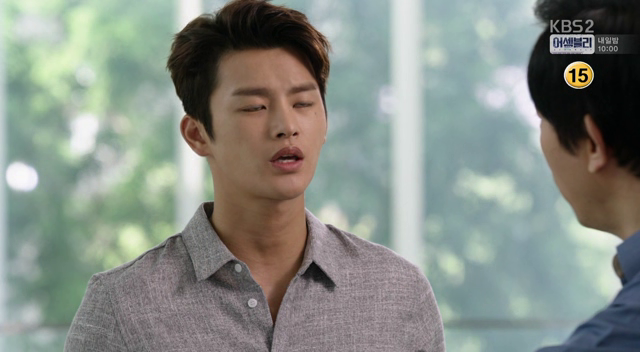 I need a preview of the next episode right now. Best episode yet! 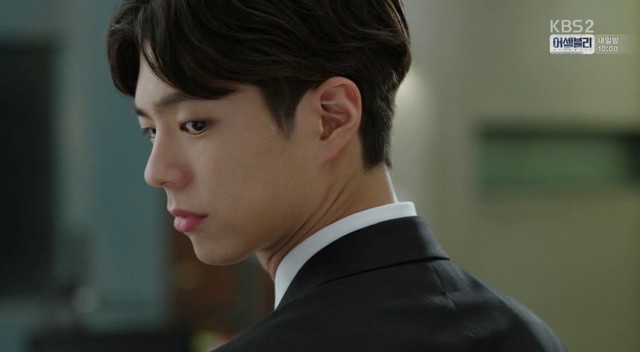 I like that eventhough min reveal was anti-climatic, the story shifted the focus on min’s pov.. And the look of hyun’s face when he realized min had possibly be the next lee joon young..
Yeah the Min reveal was quite anti-climatic, but I think that’s because they have been dropping so many hints through out the episodes too! 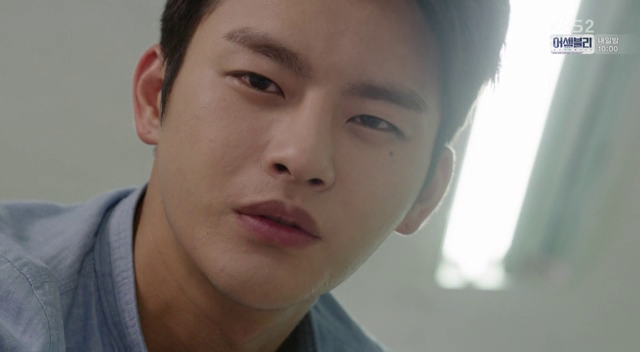 I love that dramatic ending heh.